Christmas is coming to Grey County! 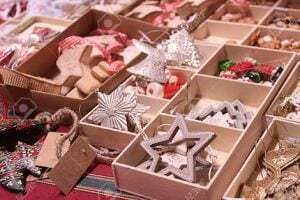 There are so many events happening through our local towns and villages during this holiday season that you’re guaranteed to find at least one to enjoy with your family and friends. 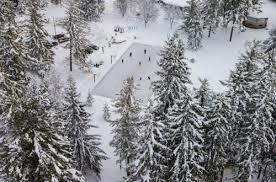 Take some time to enjoy the season, your surroundings and your community, and enjoy a reminder of why we all choose to call Grey County “home”. Enjoy the adventures of Wallace and Davis as they follow the Haines sisters to Vermont in this heartwarming musical adaptation of the holiday favourite full of well-known standards. A wonderful way to kick off the holiday season! Admission: Tickets $23/Adults, $21/Seniors, $11.50/Students. Visit www.roxytheatre.ca or call 519-371-2833 for details. Watch downtown Meaford transform into a whimsical, winter wonderland during the BIA Window Unveiling and Kinsmen Santa Clause Parade. 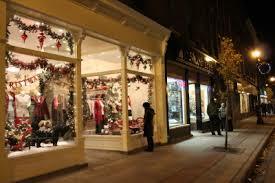 Sykes Street will become a pedestrian mall while local businesses showcase the unveiling of their new holiday window displays. 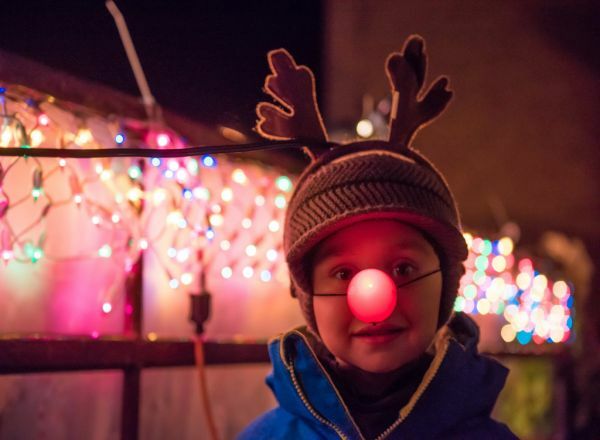 Bring the whole family out to see the displays, watch the parade, light the town tree, and enjoy a visit from Santa. 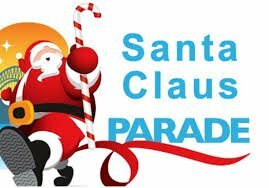 Bring your lawnchair and stake out the perfect spot to watch Santa make his was through the downtown core. This year’s theme is “Our Town Christmas”. Email [email protected] for more information or visit www.hanover.ca/events/hanover-kinsmen-santa-claus-parade to download a registration form for your float. 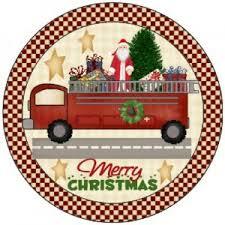 Enjoy a small town Santa Parade and meet Santa at the Durham Fire Hall after the parade! He will also visit the Durham Hospital and Rockwood Terrace. 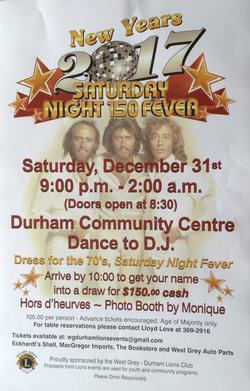 Brought to you by the Durham Firefighters Assoc. 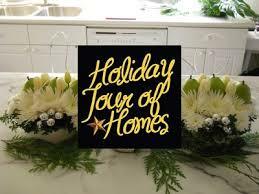 Our theme this year is “Christmas Vacation”. Prizes for best floats, best horses and best costumes. Donations greatly appreciated, contact a firefighter to donate. For more information, call Rob Leno at 519-369-2745 or 519-369-4316. A high-energy concert featuring the best jazz, blues and classic rock all wrapped up for Christmas! Starring Juno winner Tyler Yarema, guest vocalists Gracie, Drew Wright, Virgil Scott and Chris Scerri. In the Galleries, the annual silent auction will be ongoing with many unique and seasonal items. All proceeds support the MHCF. Tickets $40. Visit www.mhcfoundation.ca for more information. 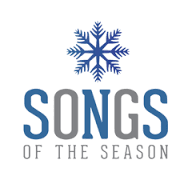 Come celebrate with us for this holiday season as The Goldenaires Women’s Choir presents its annual “Songs of the Season” at the Meaford United Church. Meet our new music director Catherine Robertson who has extensive voice and music education and who will also be featured as one of our soloists this year. 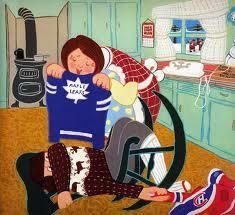 “The Hockey Sweater” is a much-loved Canadian hockey story. Don’t miss our musical presentation of this endearing classic read by our special guest, the author himself, Roch Carrier! Your musical holiday celebration includes symphonic music of the season an audience favourite carol sing-along and a holiday musical piece by area composer Richard Mascall. And to add to the celebration we will once again be joined on stage by members of our own Youth Orchestra. Come and be part of a great Grey Bruce holiday tradition. Contact 519-372-0212 or [email protected] for more information. 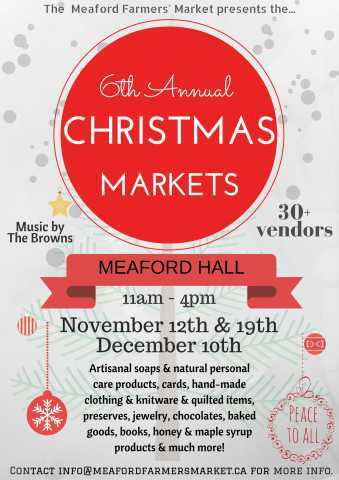 The 6th Annual Christmas Market returns to Meaford on November 19th and December 10th at Meaford Hall. Unique gifts and one of kind treasures, delicious edibles and beautiful hand-made local arts and crafts from over 3o vendors. The Browns will be present to bless us with some festive music to stir up the holiday cheer. Contact [email protected]. 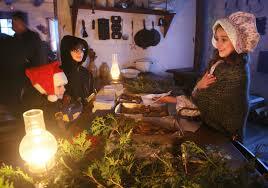 Join us in Moreston Heritage Village at the Grey Roots Museum for an old-fashioned Christmas! The historic buildings of Moreston, 1850s to 1940s, will be open and dressed in seasonal decor. Hear stories of Christmases long ago. 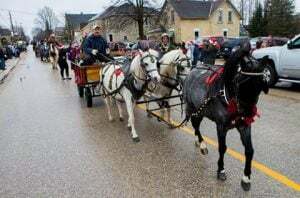 This event is a truly unique Christmas experience for all ages and has become an annual tradition with many local families. Because the event takes place outside, visitors are reminded to dress for the weather. See www.greyroots.com/programs-events for details. The parade will begin at the Community Center and end at the Legion. 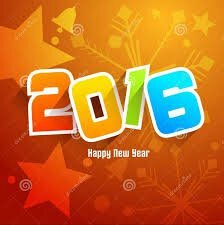 Join us after the parade, at the Legion, for treats and to extend greetings to friends and neighbours. Join Georgian Bay Concert Choir as they mark the holiday season with an exciting presentation of Handel’s Messiah. 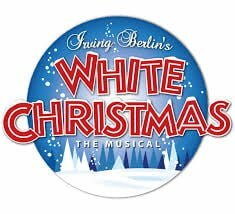 This holiday favourite will be directed by Dan Lenz and will feature world-renowned organist Ian Sadler alone with soprano Sheila Dietrich; mezzo Erin Lawson; tenor Christopher Mayell; and bass Greg Crisp. Tickets $25/adult, $5/youth and available at Birgit’s Pastry Café in the back of the Owen Sound Artists’ Coop, at the Georgian Bay Symphony office, or from any Georgian Bay Concert Choir member. Join Sandcastle Theatre for this hilarious retelling of the classic tale of the boy who wouldn’t grow up – complete with pirates, mermaids, Lost Boys and a love-sick crocodile! Fun for all ages!! 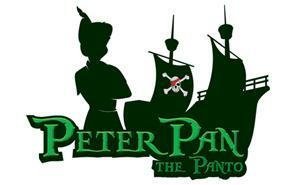 Tickets $21.50 for adults & $16.50 students. Join us on New Year’s Eve for music by Andy Litt. A continuation of the monthly series on the last Saturday of the month. Details at [email protected] Free admission. The City’s annual New Year’s Eve Family Celebration is the best way for families with children 12 and under to celebrate the New Year. Featuring musical guests Our Shotgun Wedding and the Eighth Street Orchestra. In partnership with the YMCA, this alcohol-free extravaganza features lots of activities, including: Crafts & Face Painting 5:30 – 8:30 pm, Family Swim 5:30 – 7:00 pm (Children under 18 must be accompanied in the pool by a parent or legal guardian. Bring swimsuits, towels, and a lock.) Family Fun in the Gym 5:30 – 7:30 pm, Ice Skating 5:30 – 8:15 pm, Balloon Drop 8:30 pm. Our musical guests will play several sets throughout the evening, finishing up with Auld Lang Syne and the “early countdown” that ends with a cascade of balloons from the ceiling. Please note: there is no food service at the event this year. Contact 519-376-4440 ext. 1251 for details.